The Type 1 Diabetes Cookbook: Easy Recipes for Balanced Meals and Healthy Living by Laurie Block is a wonderful resource for making diabetes easier to manage. As a recently diagnosed diabetic, it has been a challenge for me to find good recipes for foods I actually like. This cookbook couldn’t have come along at a better time. Complete nutrition information, plus nutritional needs such as gluten-free, nut-free, vegan, etc. There is so much helpful information in this book as well. The author includes chapters on understanding how insulin works and how to manage blood sugar levels. As anyone with diabetes knows, this is the biggest challenge we face, and it is NOT just as simple as carb-counting. There are so many variables in the day-to-day management of this chronic disease that make it overwhelming. The author writes in an easy to understand manner, and the chapters are organized and clear. I appreciate the time the author spent explaining target sugar levels and the effects of different foods and activities. She also provides valuable tips on making healthier changes for optimum diabetes management. 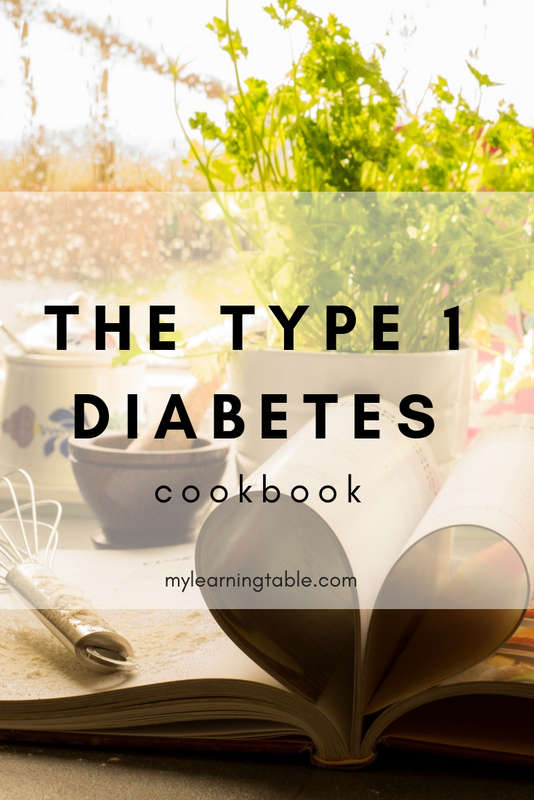 The Type 1 Diabetes Cookbook: Easy Recipes for Balanced Meals and Healthy Living contains easy to prepare recipes for the main meals of the day. Plus it includes snacks, packable lunches, desserts, and even sauces and dressings. These extra ideas are wonderful for knowing how to plan to manage sugars all day long, and not just at mealtime. Healthy snack and treat choices are a big challenge, but the delicious ideas in this book are varied and make me happy! You much try the one-ingredient baked parmesan crisps! The publisher offered a review copy of The Type 1 Diabetes Cookbook: Easy Recipes for Balanced Meals and Healthy Living .